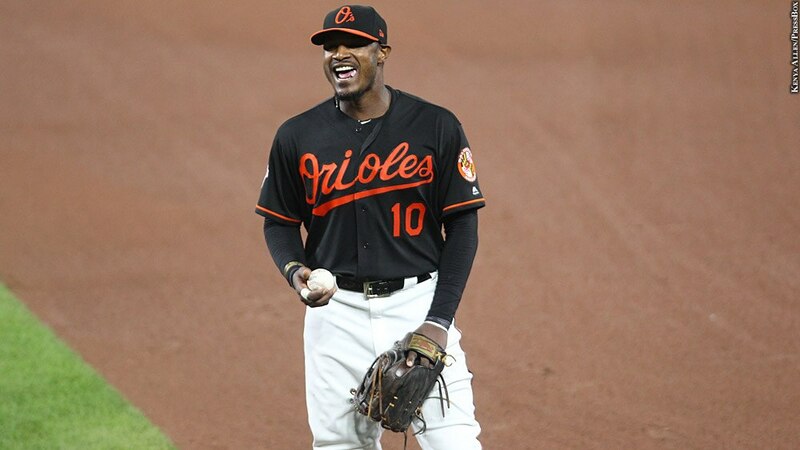 There isn't much more that can be said about Orioles center fielder Adam Jones that hasn't been said already. He's the genuine article. In 2017, he again raised thousands of dollars for the Boys and Girls Club of Metropolitan Baltimore and took his time to be involved with the kids. He also took on a leadership role within baseball after he was on the receiving end of racial taunts at Boston's Fenway Park to speak to an issue far bigger than baseball. "I'm here for one reason. I'm not here to be friends with anybody. I'm here to win, and at the end of the day, I think that's what we're all here for. From myself to PR people to general manager, everybody that scouts, I think we're all in the same mission ... to win a championship for Baltimore. If they want to have friends, I've got my own friends. I don't need any more friends. I'm here for one reason, and that's to win." We need 1,000 more like him. Year in and year out he makes us proud that his away jersey says "Baltimore" across the front.